Prepare a “Petition for Name Change” document using a word processing program. Download the 24th Judicial District Court for the Parish of Jefferson name change template if you are preparing the document on your own. Use the template as a guide to format your document and substitute the Jefferson Parish details with those of your parish. Review the document and make sure it includes your name, date of birth, Social Security number, the reason why you want to change your name and your contact information. Some courts may offer the document as a PDF download on their website. Print and sign the petition. 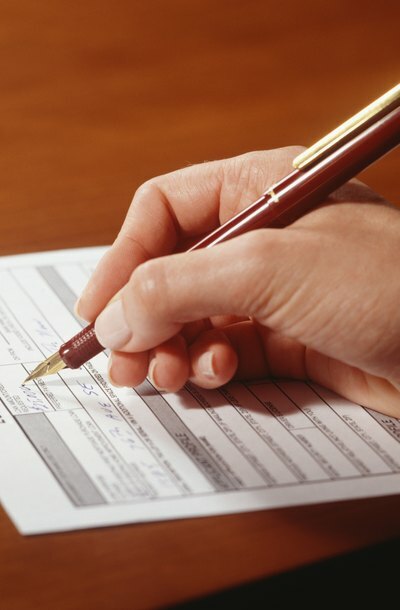 Obtain the signature of your parents or a legal guardian if you are a minor. If you are a minor living with a parent with primary custody, you do not have to obtain the signature of the other parent if that parent has not been in contact with you for over two years, has not paid child support for a year or has not paid child support for three years after a custody judgment. Submit the petition to the district court where you currently live or where you were born. If your petition is approved, and you drive, take the document along with your current driver’s license and proof of auto insurance to the local office of the Louisiana Office of Motor Vehicles. Ask to have your name changed on your driver’s license. You will be required to take a vision test. If you are a minor, a parent or legal guardian must accompany you to the motor vehicles office. There is a fee for this service. Change your name on your Social Security Card. Download an application for a Social Security card name change from the Social Security Administration’s website. Fill out the form and bring it along with your name change petition, driver’s license or other type of government-issued photo ID to your local Social Security office to apply for a new card. It's possible to modify your divorce decree to reflect your current circumstances -- for example, if you or your ex-spouse become unemployed. By going back to court, you can request changes to spousal and child support, custody and visitation rights. Updating your decree through the court provides protection for everyone involved and avoids misunderstandings that could occur through more informal arrangements.